CHA Institute has a state-of-art campus and one of the best academic infrastructure, facilities with high-tech facilities, wi-fi campus & air-conditioned class rooms & Labs, well equipped library equipped with the latest books and management journals from around the world, exquisite kitchens i.e. Basic Training Kitchen & Advanced Training Kitchen along with bakery set up with the best equipments, spacious class rooms with LCD projectors for presentations, fully furnished 2 set ups of restaurants with different themes and house keeping lab.Students who study here are truly fortunate to experience world class teaching facilities & thereby get a great education. 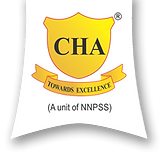 CHA offers residential accommodation on sharing basis to its students around the vicinity of its premises. This is available for both girls & boys separately. Students may also arrange their own accommodation directly if they so desire. The Institute has a cafeteria providing hygienically prepared meals & snacks, which the students may opt for.